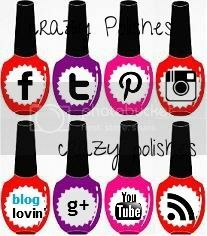 Crazy Polishes - nail arts, swatches, reviews Crazy Polishes: Sunflowers!!! Today i have very bright and cheerful manicure to share. I did this manicure on last friday and still wearing it because its simply very happy manicure. This manicure featuring sunflower image from uberchic beauty stamping plate. continue reading for more details. So, what you say about this manicure.